is honored on Panel 14W, Line 74 of the Vietnam Veterans Memorial. THANK YOU FOR BEING A COMBAT ENGINEER WITH THE 1ST CAVALRY. THIS WAS THE UNIT OF A FRIEND'S BROTHER. SAY HI TO MIKE IT IS 2017, WHICH MAKES IT FAR TOO LONG FOR YOU TO HAVE BEEN GONE. WE APPRECIATE ALL YOU HAVE DONE, AND YOUR SACRIFICE. WATCH OVER THE U.S.A., IT STILL NEEDS YOUR COURAGE.. GOD BLESS YOU. MAY THE SAINTS AND ANGELS BE AT YOUR SIDE. REST IN PEACE. I was only 6 when Kenny died, I can remember the last time he was home on leave around Christmas of 69. 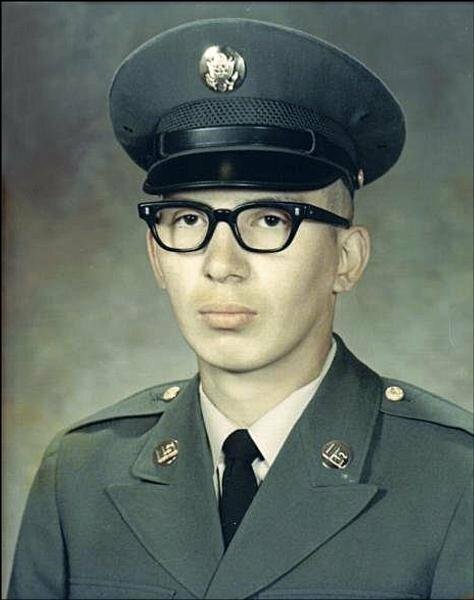 He was 18 days into his 2nd tour of duty in Vietnam when he died. I would like to know more about my brother Kenny from anyone who knew him, what his life was like in Vietnam and circumstances surrounding his death. Thank you my brother for the sacrifice that you made for your country. I am leaving remembrances for random veterans thanking them for the great contribution they have given our nation. I want you to know that you weren’t forgotten. Our nation looks at those of you who fought in perilous times for our nation, even without the full support of everyone, and gave the ultimate honor for your country. Thanks a million times over.